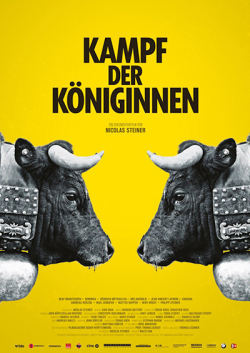 FIGHT OF THE QUEENS documents the cantonal final of the walliser cow fights in fascinating black-and-white pictures. The young director Nicola Steiner interwines in his film the fighting with the experiences of the protagonists and allows to dip the audience into a spectacle of full tension, emotions, passion and fine interpersonal tones. A refreshing modern film with a regional background!